Lawrence E. Gustafson Roofing, Inc.
Advanced Roofing Team Construction, Inc.
C & S Remodeling, Inc.
Red White and Blue Construction, Inc. Comment: We have one section of our roof where a downspout empties onto it and has created a sag in the roof. We will need the joist fixed and the roof section replaced. Comment: We have a 1 1/2 story raised ranch with a very simple peaked roof app. 30'x40'. We believe it needs to be a tear-off, with possible small repairs to the decking. Our timing is flexible, but would like it done before fall. Comment: There is a leak in the kitchen where we have a one story turret; it only leaks when there is a heavy rain and wind from a certain direction. We are going to paint the kitchen, but need this repaired first. I would also like an overall inspection of our roof due to the hailstorms that we had last year to see if there is any damage. I have also noticed shingle granules in our gutters over the past few years. We are the original owners of the house that was built back in 2000 and has 25-year asphalt shingles. Type of Roof: Built up/"tar and gravel"
Comment: Coal Tar Pitch roof has several leaks. Palatine Roofing Contractors are rated 4.73 out of 5 based on 2,164 reviews of 78 pros. 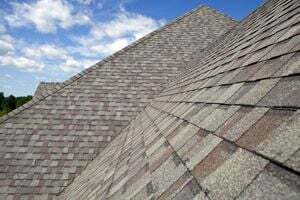 Not Looking for Roofing Contractors in Palatine, IL?